An excellent addition to any Ecuador or Galapagos Itinerary, a 5-day tour of Mainland Ecuador allows visitors the chance to discover the beauty and culture of this tiny country on the equator. This itinerary takes you to top Ecuador destinations across the central mainland — from the lush greenery in Mindo’s Cloud Forest to snow-capped peaks of Cotopaxi National Park. Enjoy this tour with responsible travel company, Good Life Expeditions. Let our expert travel team take care of all the arrangements for a smooth trip from start to finish. In addition to arranging the logistics, we can offer the best tips for an enjoyable stay. When you choose to travel to Ecuador with Good Life Expeditions, take confidence that you’re making a direct and positive contribution to the places and people you encounter. Our carefully chosen partners in the region run sustainable and eco-friendly operations. Every experience we offer puts the local communities first. Contact us to start planning your tour today! Good Life Expeditions handcrafts responsible and authentic Ecuador tours featuring cultural immersion, natural wonder, and more. During your trip, you will visit a sampling of iconic sites, like the famous Mitad del Mundo, as well as some hidden gems not frequented by tourists. Contact us to start trip planning! Day 1: Straddle the two hemispheres at Mitad del Mundo, the monument which marks the equator line, before transferring to the Mindo Cloud Forest for a first-hand look at the colorful bird and butterfly species that live there. Overnight in Mindo hotel. Day 2: Tour Mindo’s unique ecosystems filled with endemic species, as well as cascading waterfalls and rich green vegetation. You’ll probably spot some species you’ve never seen before. Overnight in Quito hotel. Day 3: Visit a remote mountain region where you’ll find the turquoise waters of Quilotoa Crater Lake inside an extinct volcano. Overnight in Quilotoa hotel. Day 4: Set your sights on the active, snow-capped Cotopaxi Volcano during a full-day horseback riding tour. 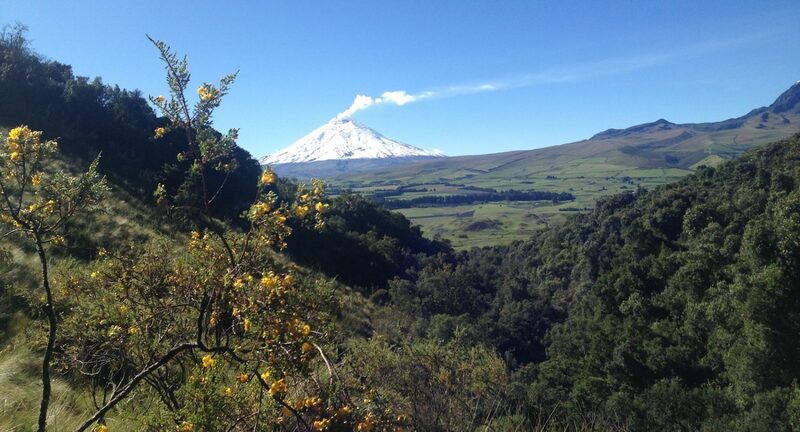 Spend your day exploring the natural beauty of Cotopaxi National Park. Overnight in Quito hotel. Day 5: Fly from Quito for international departure or onward travel. Enjoy this Mainland Ecuador tour with responsible travel company, Good Life Expeditions. Contact us today! Dive right into your tour by heading to Mitad del Mundo – the Middle of the World – the monument marking where the equator line is located. Learn about Ecuador indigenous history at the Intiñan Museum before snapping some photos standing with one foot in each hemisphere. Then test out the different science stations, each designed to test the unique physical forces at work in the equatorial region. Next, transfer to the Cloud Forest. Mindo is known for its chocolate and rich diversity of birds and flowers – both of which you will experience in abundance. While exploring this unique ecosystem, you’ll be immersed in nature. Visit the butterfly farm, where you can see dozens of unique species. Discover colorful varieties of birds on an early morning bird watching tour. You might see hummingbirds, toucans, or other exotic species. 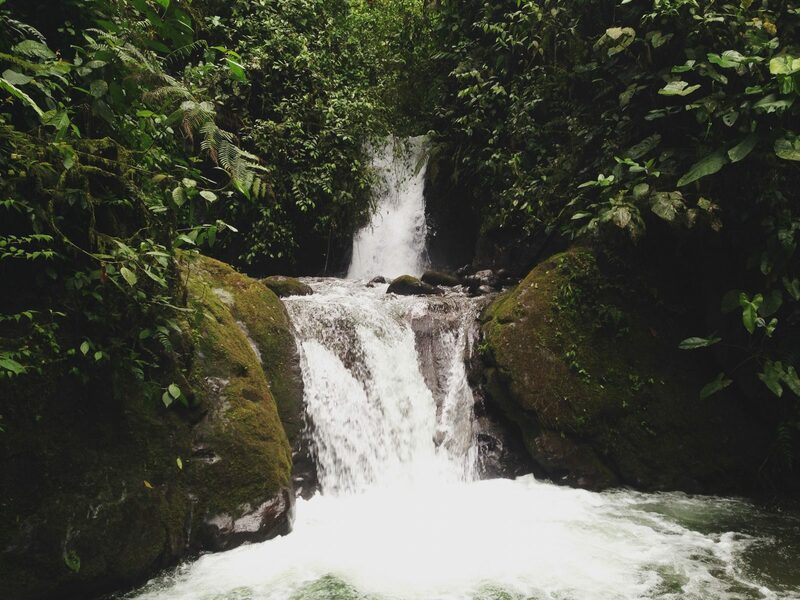 After you’ve enjoyed Mindo, head back south to the heart of Ecuador’s Andes Mountains. The majestic mountain landscape offers a stark contrast to the lush green of the Cloud Forest, but the sights are just as breathtaking. You’ll venture to the remote Quilotoa Crater Lake, nestled in an extinct volcano. One of Ecuador’s best-kept secrets, the lake’s striking blue waters will dazzle you. Hike to the crater’s center or admire the beautiful highland landscape from the rim. 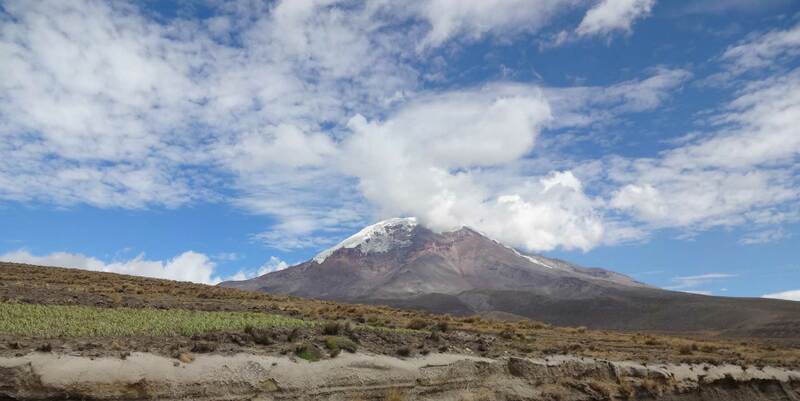 Your final destination is Cotopaxi National Park, home to the towering Cotopaxi Volcano. Surrounded by numerous peaks, Cotopaxi Volcano stands out as the second highest point in Ecuador, measuring over 19,000 feet (5,897 meters) above sea level. With its glacial climate and snow-capped peaks, smoke can be seen leaking out of the top. Navigate the park’s rolling landscape on horseback. Enjoy the picturesque mountain landscape as your ride side by side with your native guide while learning about the unique history of the area. On your last day, depart from Quito for your international flight home or onward travel elsewhere. To book this Mainland Ecuador tour, contact us!